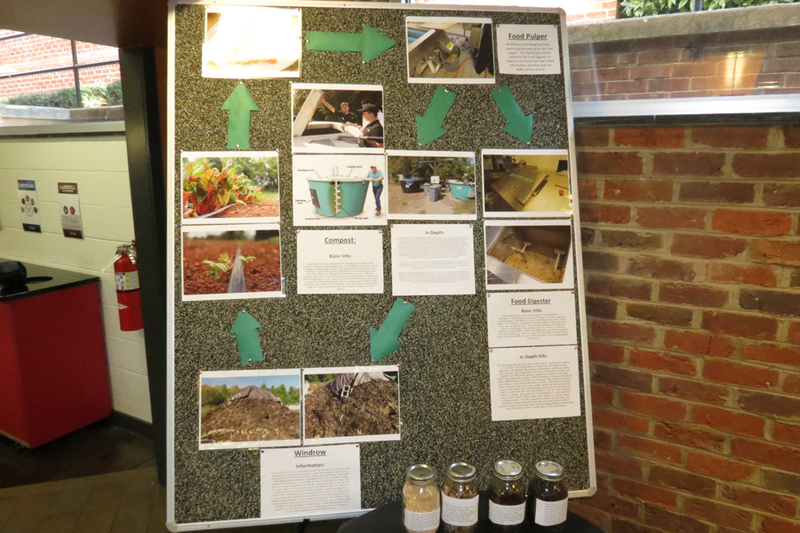 Sustainiability Work Study student Nate Secrest put together this mobile exhibit (living in The Grill right now) that explains each step of the composting process here at Guilford. 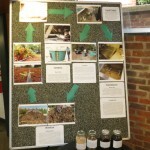 There are some great shots of composting in action, and even samples of some of the finished products. Swing by The Grill to check it out! Working for Guilford Dining I’m fortunate to live and work with fresh local food all the time. 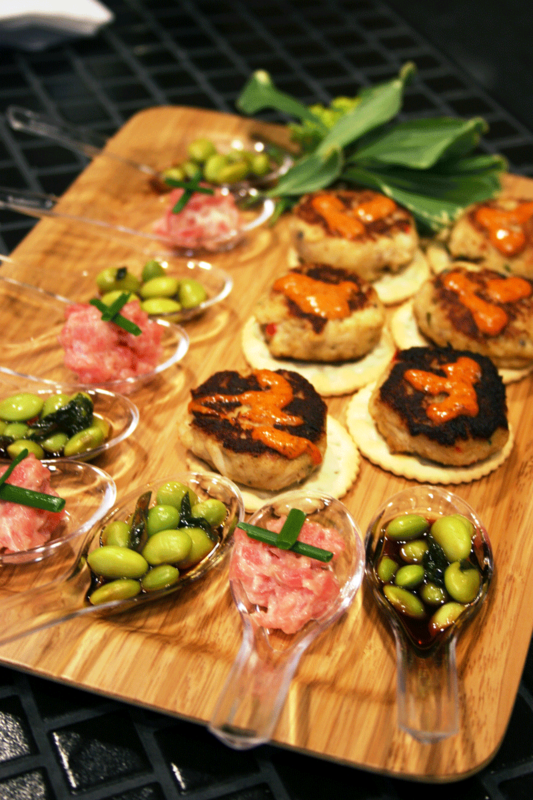 I got into this business because I love food, love sharing it with people, love the stories that everyone can tell about food they had in a specific place and time. This video from the Perrenial Plate gave me goosebumps because it was chock full of just that kind of love. Watching Joseph Fields and the camera guy pick and eat squash blossoms I could almost smell and taste them, feel the warm summer sun on the back of my neck, hear the cicadas…. Food is special, for all of us. That’s why learning about how your food is raised, where and by whom, is so important. Joseph Fields supplies fresh tasty organic produce to Eastern Carolina Organics, one of our favorite vendors in the spring and summer. Check out this video about his beautiful story. 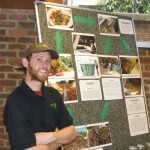 I’ve been reflecting lately about the growth of the Guilford College Farm. So often today things that grow quickly do so by over-extending, or ignoring long term consequences. The Guilford Farm does neither of those. Each piece of the puzzle that’s added on comes with the appropriate tools for the added task. And since the farm raises our fruits and veggies according to the principles of organic farming, what was once fallow land with hard red clay soil becomes fertile, productive soil that’s almost…fluffy. 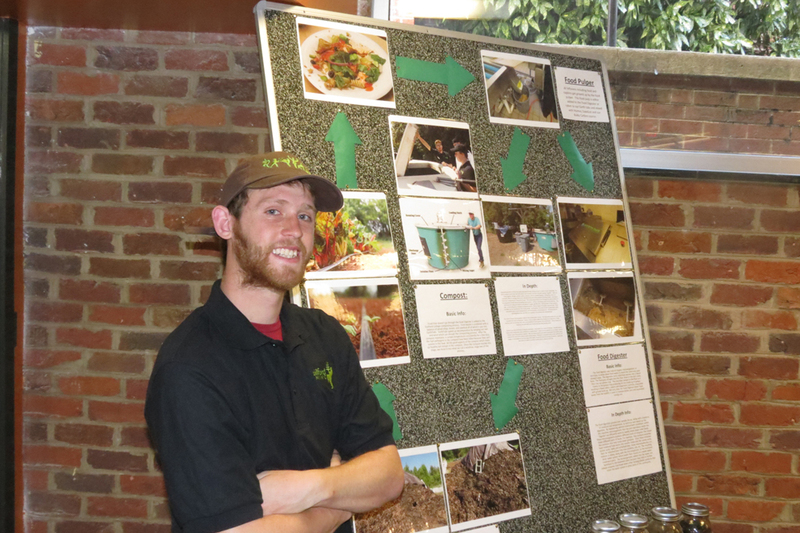 Korey and crew are able to produce food and still leave the land in better shape than when they found it. I think that’s one of the most exciting parts about this sustainable food movement, having the chance to see the natural world improve as a result of the choices people are making. Here’s another gem of a story showing just that. Chef Dan Barber of Blue Hill at Stone Barns talks about how he fell in love…with a fish! The Guilford College Farm is expanding! After an extremely successful year in which the farm more than doubled its output [from 5209 lbs to 11764 lbs! ], the farm has decided to grow again. According to the Office of Administration, the farm will be adding another full acre plot from currently unused land. Now we’ll have even more variety to offer you in meals. Stay tuned for more information. Whew, it’s been a crazy month. Februaries are always the hardest- everyone comes back from break and hits the ground running. With that in mind we’ve decided that once a month, for the rest of the school year we’re going to take the time to slow down a little bit and savor the moment. This Thursday February 21st we’re starting a new tradition: monthly local meals. Chefs Eric Pearce and Chris Blain sat down today to put together a menu that highlights the best of what we have available this time of year. And judging from the menu, it’s hard to tell that it’s the middle of winter with all the fresh local food we’re able to offer. Our little corner of North Carolina is an incredible food microcosm. Check out what we’re planning, and be sure to visit the links on farm/producer names for more info, and our facebook page before, during, and after the meal for pictures. Flora Ridge Farm is located in the town of Mt. Airy, North Carolina. Flora Ridge Farm is one of the few farms to use Hydroponic Technology to produce the finest and highest quality greens on the market today. Anthony and Joy Bono own and operate the farm ensuring that the products are grown with love, care and extreme dedication. The Flora Ridge Farm slogan is “It can’t be any fresher cause it’s still growing,” and that pretty much says it all about the beautiful color and flavors of the greens that are produced. Flora Ridge is a small operation, but that allows Anthony to put extra time and efforts into the growing operation. Smaller IS better in this case! Hydroponics is a subset of hydrocultureand is a method of growing plantsusing mineral nutrient solutions, in water, without soil. 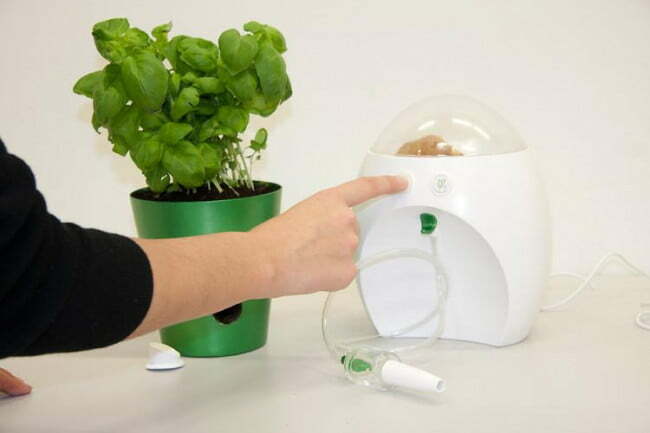 Plants may be grown with their roots in the mineral nutrient solution only or in a variety of mediums. 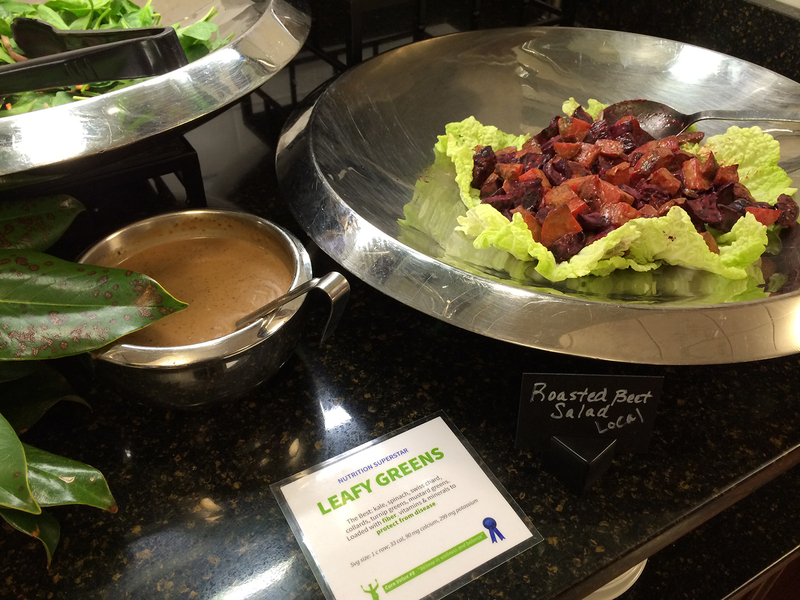 Since Flora Ridge can grow their greens regardless of the season, we’re able to offer fresh, local lettuce on the salad bar year round! Flora Ridge Farm work with us on a weekly basis to provide for us the very best Greens that we can get in all of North Carolina! With Recyclemania beginning all across the country this week, we thought it would be a great time to remind you about something we’re doing everyday to help keep almos 10,000 pounds of food waste a month out of landfills. This video was put together by Guilford students for The Guilfordian, and lives on its youtube channel. We buy between 400 and 1600 pounds of beef from Frank Massey’s Tomahawk Hill Farm each month! Frank Massey is officially the Gifts Discernment Coordinator here at Guilford. In addition to serving Friends Center, Frank also teaches Quaker Studies, is the pastoral minister of Jamestown Friends Meeting, and is the past general secretary of Baltimore Yearly Meeting. “Tomahawk Hill Farm, a small family farm nearAsheboro,North Carolina. We raise grass-fed beef on the gently rolling hills ofNorth Carolina’s piedmont, on a farm that has been in the family for four generations. Tomahawk Hill Farm is a part of a growing movement to offer our community and beyond with nourishing, taste-full beef that provides the health, environmental and locale benefits that have so long been associated with family farms. Because we are small, we intimately know and care for our cows, our land, and our customers. It’s been an incredible semester, with lots of tasty local food. We want make sure we end the year on a good local note, so we’re throwing one more local banquet in the Founders Dining Hall, Friday 7 December. 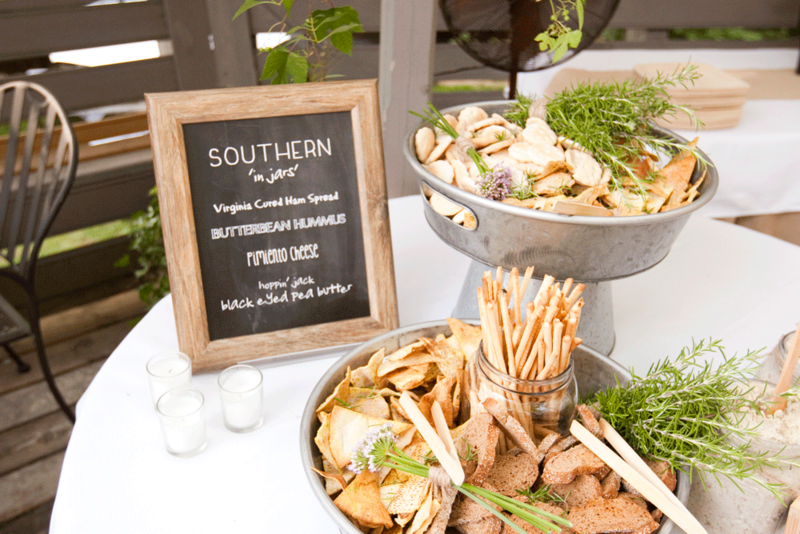 Of the many tasty local treats we’re serving, two have stories worth telling. First, there’s the tale of two businesses. Deep Roots Market sold these tasty local turkeys for Thanksgiving this year. They bought more than they could sell, so we took them off their hands. Eating Local is as much about the distance food travels as it is about building relationships within your community. Working together with other businesses we can help keep money spent close to home, reduce waste, and help each other out in a pinch. Everybody wins, especially you, because these turkeys are delicious! The turkeys come from Tendergrass Farms in Floyd, VA and were pastured, so they never saw the inside of a cage. The meat is free of hormones and antibiotics, and is leaner than you would normally see from a turkey raised on a factory farm. That translates into one tasty meal! And then there’s Pine Trough Branch Farm and Worth Kimmel. I met Worth through a mutual acquaintance who thought we were kindred spirits. Knowing what Worth does, that’s a huge compliment. Worth, and his sister Jenney, run a farm that’s been in the family for three generations. They practice what is called “management intensive grazing.” Basically, they raise hogs in the woods on acorns, like nature intended, and manage the impact the hogs have on the woods and the amount the hogs get to eat by moving them around with a portable electric fence. The hogs love it, they’re some of the happiest pigs I’ve ever seen, and after a morning there I could understand why. The farm is 118 acres of fenced in pasture and woodland with spring fed streams on either side of the property. In the early fall morning it felt like I was visiting another time. The buildings were wooden, and obviously handmade with a care you rarely see. And everything, from the trees, to the dog, even the hogs had personality to spare. The morning I visited we sat down to talk business, and sample some delicious home made bacon! I could tell from our conversation, and the flavor of the bacon that Worth puts a lot of love into what he does. You’ll get to taste a little bit of that love on Friday. 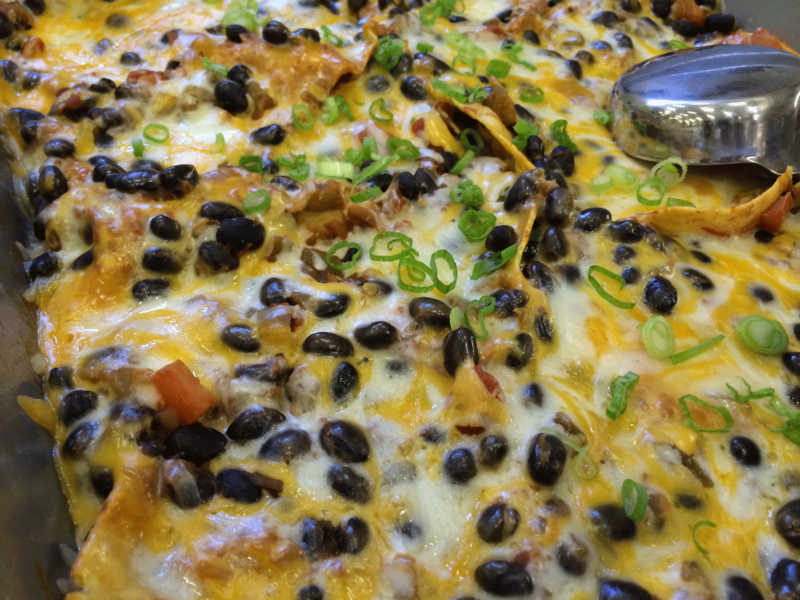 We have a whole hog from Worth coming just for you! So please join us Friday from 5-7pm in the Founders Dining Hall for another tasty Local meal!